Instantly determine whether an address will qualify as a targeted employment area with our free, continuously updated National TEA Map. We use the latest government-published unemployment data to confirm an address’ eligibility for TEA status. Instantly calculate how many EB-5 eligible jobs your project creates using USCIS Approved RIMS II Economic Multipliers issued by the United States Bureau of Economic Analysis. Our calculator works for all project types in all 50 U.S. States and calculates construction and operational jobs according to your project’s estimated budget and revenue. Selecting and conducting diligence on a potential EB-5 project can be a daunting task. Drawing on years of experience in reviewing hundreds of projects, our team has distilled this complex process to a simple five-step framework for investing in an EB-5 project in collaboration with USAdvisors.org. The framework is available in 9 languages and is useful whether you are structuring your own EB-5 project or investing in a pre-structured project. Learn how the EB-5 program works easily and quickly with our Learn EB-5 Program video. If you are just beginning to research the EB-5 Program, this video is the perfect launchpad. Learn about the history of the EB-5 program, basic EB-5 job creation fundamentals, how to structure EB-5 projects, program requirements, and options for investors looking to participate in the EB-5 program. 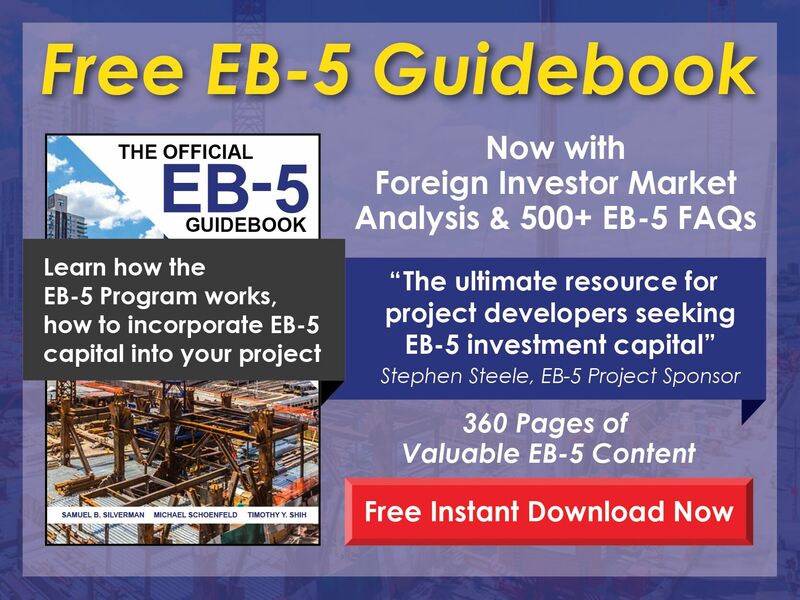 Download the PDF version of our comprehensive EB-5 Guidebook, including hundreds of pages of knowledge and FAQ on every aspect of the EB-5 program. Learn how the EB-5 Program works, how to incorporate EB-5 capital into your project, and how to successfully market your project to foreign investors. 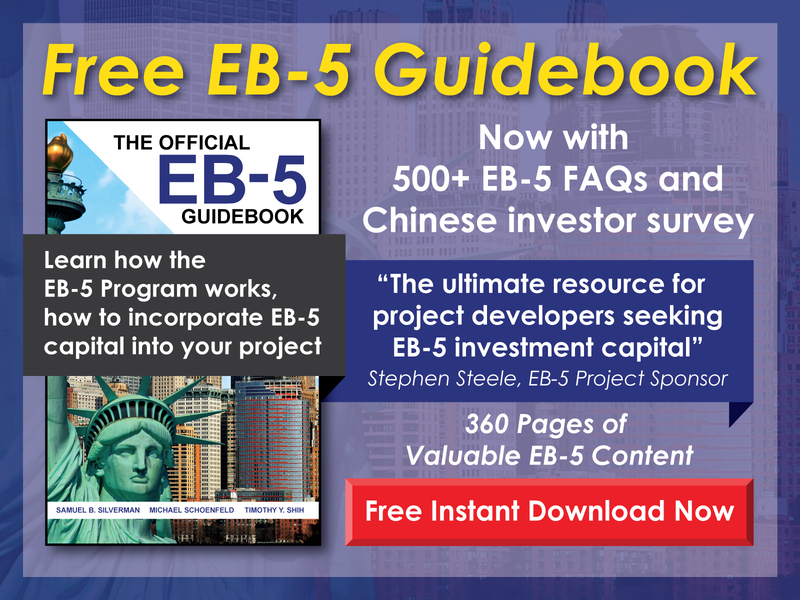 The EB-5 Project Risk Assessment Questionnaire is an easy-to-use free tool that guides investors through the initial diligence phase of evaluating an EB-5 project for investment. In partnership with leading EB-5 law firm Klasko Immigration Law Partners , our team has created a simple interactive PDF with several multiple choice questions that make it easy to diligence any potential EB-5 project. Download your free copy today. Learn about EB5 Affiliate Network’s services for all EB-5 investors, project managers, and immigration attorneys. We have helped hundreds of EB-5 projects and thousands of EB-5 investors through the EB-5 process. Let us help you. An easy first step for EB-5 project developers, ordering a Preliminary EB-5 Project Report will allow your team to make an informed decision about how to proceed with an EB-5 capital raise. Our award-winning team crafts job creation projections, determines TEA eligibility, and recommends a marketing strategy and EB-5 capital raise amount for your project in under one week. Preparing and filing form I-829 can be challenging, as project job creation must be rigorously documented. Our free quick start guide and project data template make I-829 preparation foolproof. Immediately determine which USCIS-approved regional centers have the geographic coverage needed to sponsor your projects.